The garden (river) front of Old Battersea House, London. 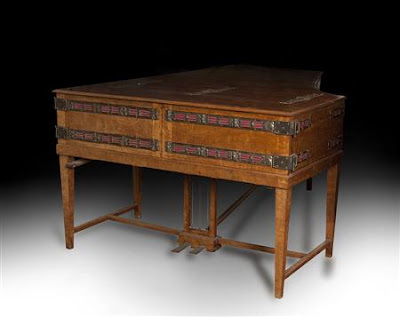 As a tie-in to the last post of The Devoted Classicist, here is another essay about yet another historic London house and an auction of its contents. Fortunately, the mansion is still extant this time, and it is for sale. (The "guide price" is GBP 12,000,000 or about $19 million). And the contents will be sold with an upcoming auction in Edinburgh, Scotland, next month. It is regretful, however, that we missed the opportunity to see the lots in situ last weekend when there was a public viewing at Old Battersea House. 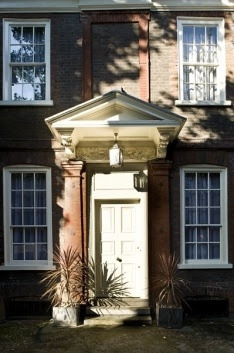 The entrance to Old Battersea House. When it was built, 1699 or even earlier, the Thames riverside property (now separated from the water by a roadway) was surrounded by fields. 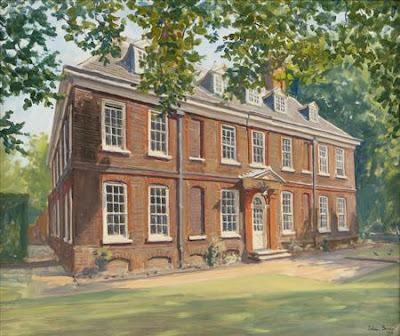 Much of the land belonging to the handsome manor house was sold in the 1920s after being vacated by St. John's College, a Church of England college for priests. Although the architect is unknown, the possibility of being designed by Sir Christopher Wren has been considered as the house does match his style. The local authority, the Battersea Council, bought the house from the college and would have demolished it and built what we in the U.S. call a housing project had it not been for the public outcry. An Act of Parliament saved the house from demolition. 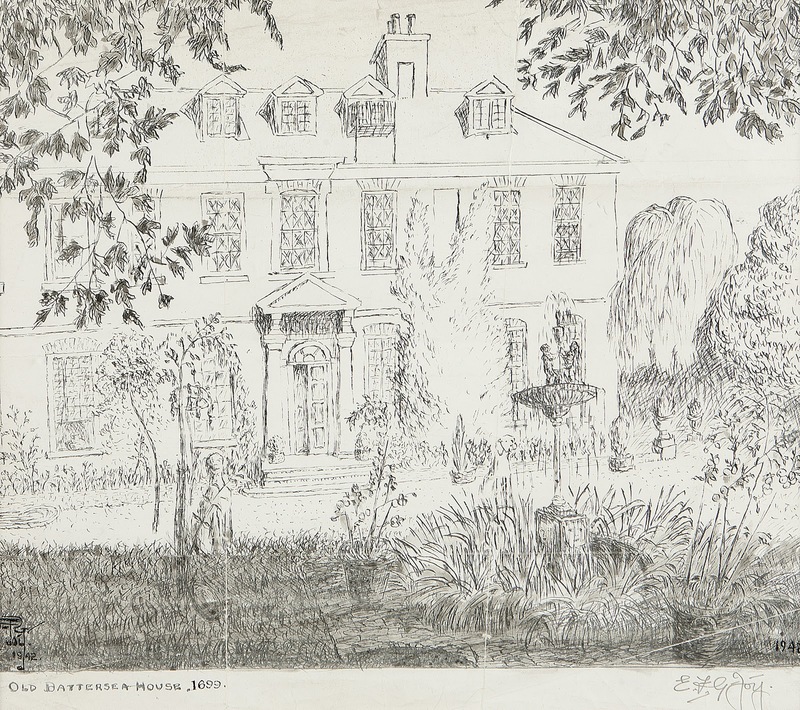 A lithograph of Old Battersea House, signed E.F.G. Joy. The leaders of the fight to save Old Battersea House were Col. Charles G. Stirling and his wife Wilhemina. They lived in the house, leased from the Council, starting in 1931 until her death at almost age 100 in 1965. 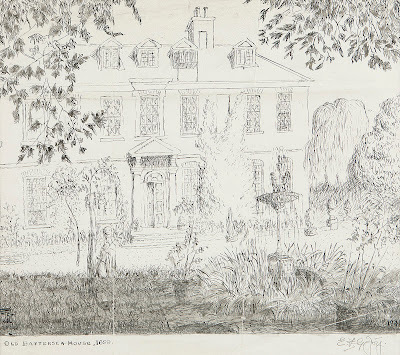 (The Stirlings' collection of paintings, ceramics, and furniture was bequeathed to the De Morgan Foundation and is on view at the nearby West Hill Library). But the house fell into disrepair and languished until Malcolm Forbes acquired a 99 year lease in 1971. (Freehold ownership was later acquired from the Battersea Council). The Entrance Stair Hall of Old Battersea House. Architect Vernon Gibberd and later, son Christopher "Kip" Forbes, restored the house, adding modern amenities, to serve as the Forbes family's London home as well as housing one of the world's most important collections of 19th century British art. 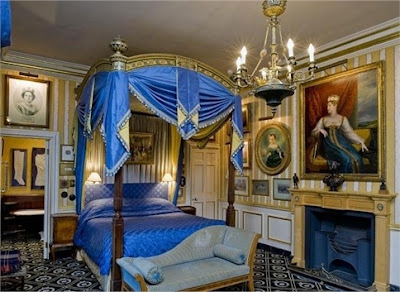 Elizabeth Taylor was a frequent guest, staying in the (queen size canopy bed, see photo below) Red & White Bedroom, and President and Mrs. Regan once stayed in the (twin beds, see the link to The DiCamillo Companion) Black Bedroom. 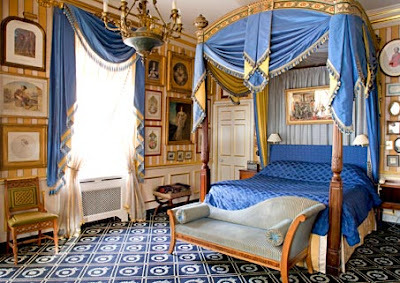 (Readers will want to see the video, linked below, to view the Black Bedroom, named for the walls, curtains, and beds all upholstered in flowered chintz with a black background). 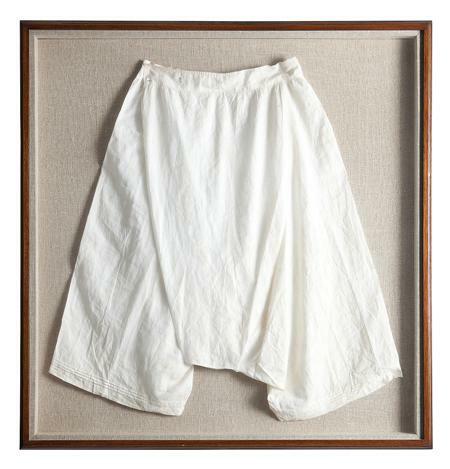 The State Bedroom had a display of art in tribute to Queen Victoria; the adjoining bathroom had a display of the Queen's personal garments. The State Bedroom of Battersea House. The State Beddroom with a view to the adjoining bathroom beyond. Fine South German Limewood Model of a Neo-Classical Palace. 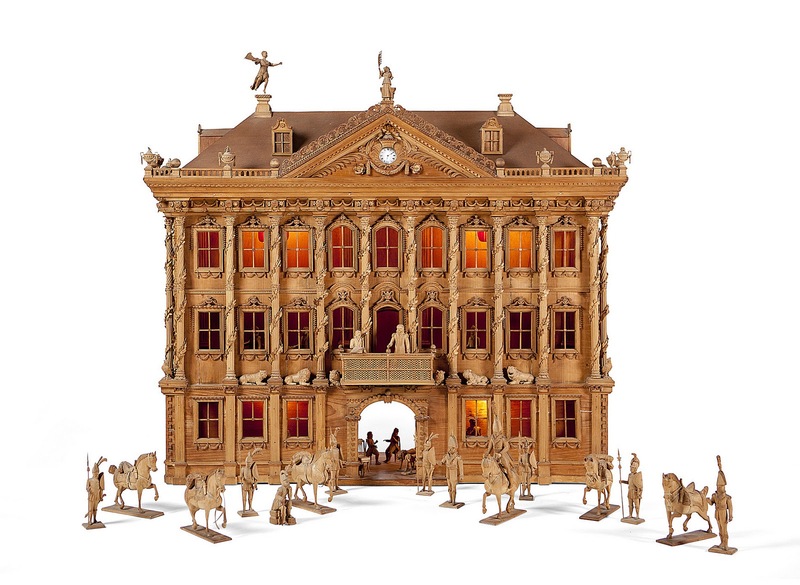 The model by C. Herman Bruckner dates from the late 19th century and includes 31 figures of horse-mounted guards, standing guards, dogs, and the home owner with his family and servants. The estimate is GBP 15,000 - 20,000. REGINA CORDIUM: A PORTRAIT OF MRS. ALDAM HEATON. 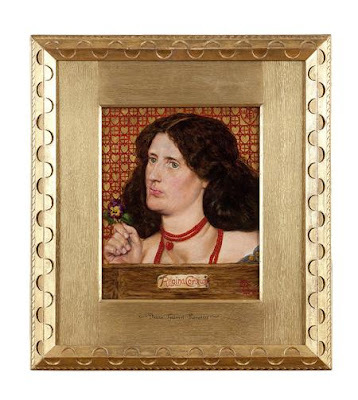 The oil on panel portrait was painted by the British artist Dante Gabriel Rossetti and is dated 1861. Remarkably, it still has the original giltwood mat and "thumb print" frame designed by the artist. The estimate is GBP 80,000 - 120,000. Arts & Crafts Grand Piano. 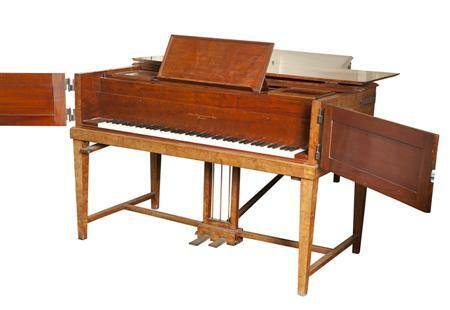 Designed by Charles Robert Ashbee, and made by John Broadwood & Sons, London, circa 1904, this unique piano features patinated brass pierced strapwork Celtic hinges. The estimate is GBP 12,000 - 18,000. The Late Victorian Mahogany Four-Poster Bed favored by Elizabeth Taylor. 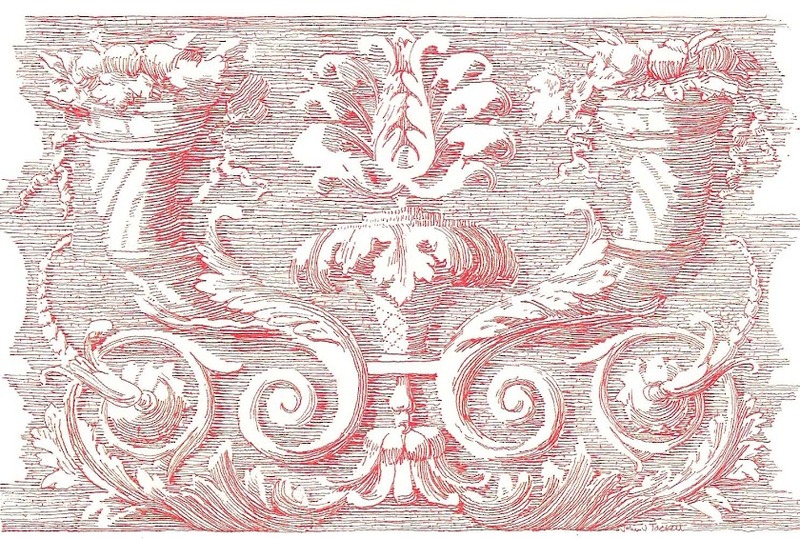 This bed, circa 1880, in the Red & White (Master) Bedroom has red and ivory silk hangings. The room was favored by Elizabeth Taylor and she spent her seventh honeymoon here with husband Larry Fortensky. The estimate is GBP 8,000 -12,000. The personal garments are usually destroyed after the Sovereign's death, so these knickers, embroidered in blue with a crown and 'VR2' on the waistband, are the only known survivors. The estimate is GBP 2,000 - 3,000. Oil on canvas view of Old Battersea House by Julian Barrow. An excellent video overview of the house and contents was produced for the auction. The 14 minute highly recommended film is hosted by Curt DiCamillo, an expert on historic architecture and decorative arts as well as a friend of Kip Forbes (and The Devoted Classicist). It can be viewed here here. And there is a second video, almost 7 minutes, that features just the paintings that can be viewed here. The facts of the house's history came from the most informative site, The DiCamillo Companion, and more can be read here. More about the features of the Grade II listed house today can be found at the site of the real estate agent, Savills, here. I love the DiCamillo site. I just discovered it while looking for info on this house! Meg, it is a very handy resource. I met Curt last fall when he gave his "Jewels of Scandal and Desire" talk for Decorative Arts Trust. For New Orleans readers, he will present it for Royal Oak Foundation next month; I highly recommend it. Many thanks to the anonymous reader who let me know about the mistake in converting the price of the house from Great Britain Pounds to U.S. Dollars. The text has been revised. (Luckily, I had not yet made an offer to buy the house). I absolutely enjoy your point of view on all of your houses...So wonderful to see some of the buildings that have survived the savages of generations lack of appreciation for what has become extraordinary houses, whose equal will never be repeated again. Thank you, Duchess. The asking price for the house is a lot of money, especially for this part of London -- across the river from Chelsea. But it only takes one person who wants to buy it, of course. I did a post about this house once. 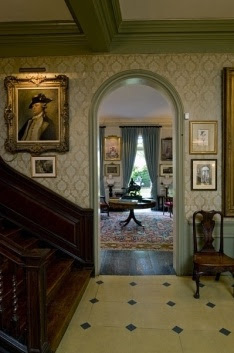 I like the interiors, it is a fine English home and I would like to visit it some day. M.L.H.B., you do such a good job in presenting properties such as this on your blog, I thought you would be familiar with it. Renee, thank you for commenting. Dear readers, please be advised that a second video hosted by Curt DiCamillo has been posted on YouTube. This one is just about the paintings. Let's see if I can add it as a revision to the text. At least one thing. If Old Battersea House really did house one of the world's most important collections of 19th century British art, I hope it was preserved forever in a decently written book. Not a quick auction catalogue.